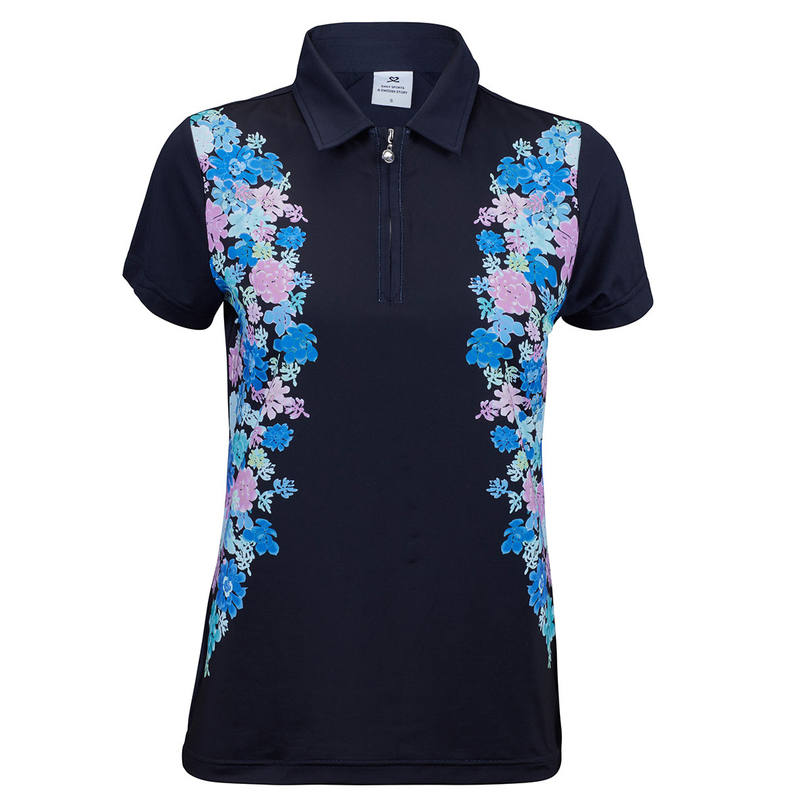 This beautiful printed golf shirt, is perfect for playing summer golf. This is thanks to its quick dry material construction, which is highly breathable and moisture wicking to keep you dry and cool as you perform. 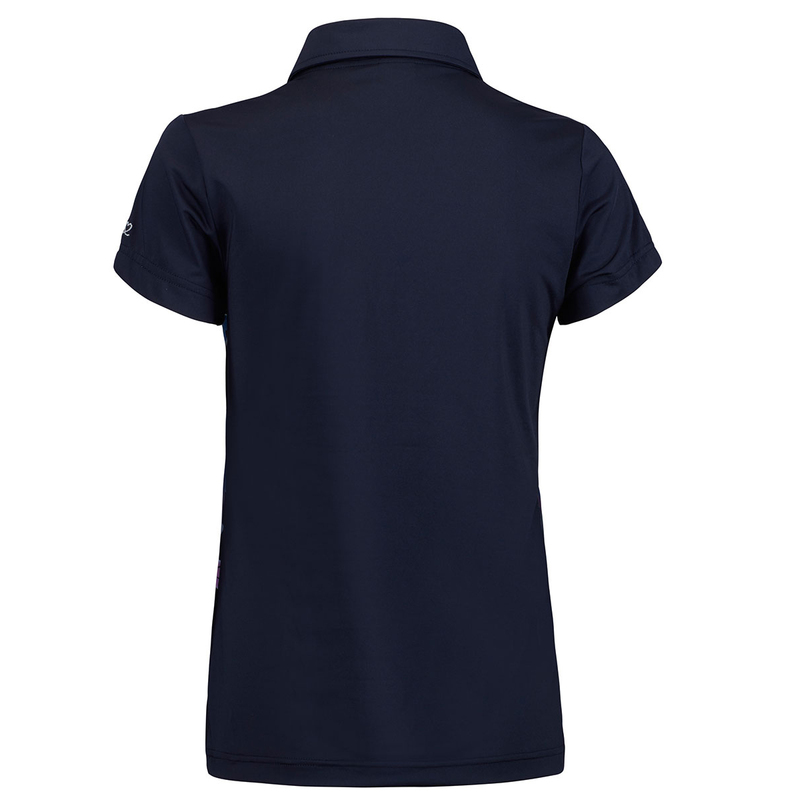 The shirt has been fashioned to provide a flattering fit, with just the correct amount of stretch to help you perform during the golf swing. The design features a traditional fold over collar, features a front zip opening, which is highlighted with a glass stone zip pull.